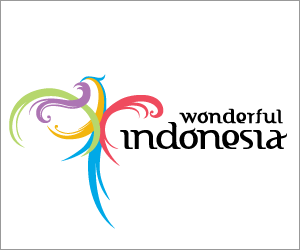 Realwonderoftheworld.com – Komodo National Park is The Real Wonder of The World. One of the last frontiers of the underwater world – Diving in Komodo Marine Park is like nothing on earth. Amazing! The best way to get to Komodo Marine Park dive sites is on a liveaboard dive safari. The Komodo Dancer is the Bali based vessel of the Peter Hughes Dancer Fleet, the world renowned liveaboard group is at the very forefront of liveaboard luxury and provides high quality dive trips to the Komodo national park, Alor and Maumere in Indonesia’s spectacular Nusa Tenggara. The Komodo Dancer is a traditionally crafted, two masted wooden motor sailor, stretching 30m long, 9m wide and accommodating 16 adventurous divers. Following the standards of the Dancer Fleet, the Komodo Dancer replicates Peter Hughes Diving service, amenities and the highest standards of safety in the industry. The Seven Seas is a 45 meter (LOA), traditionally built Indonesian sailing schooner built from the finest ironwood. Comfortably accommodating 16 guests in 8 state rooms with en-suite bathrooms she has set new standards for luxury liveaboard safaris in Indonesia. Custom-designed, she is perfectly suited for cruising, island hopping, diving and relaxation. Whether you choose Bali, Komodo, Raja Ampat, Alor & Wetar, the Forgotten Islands or the Banda Sea, you will appreciate the space and stability that this fine liveaboard offers, making cruising the tropical waters of Indonesia extremely comfortable. Grand Komodo took travelers off the beaten track throughout Indonesia, but especially to the islands east of Bali, such as Komodo. A few years later we carried out our first dive explorations, teaming up with naturalists and photographers such as Dr. Kal Müller, Burt Jones, Maurine Shimlock, Gerry Allen, Roger Steene, Wally Siagian, Mike Severns and David Pickel. Teamed with them we discovered some of Komodo’s most exciting dive sites. 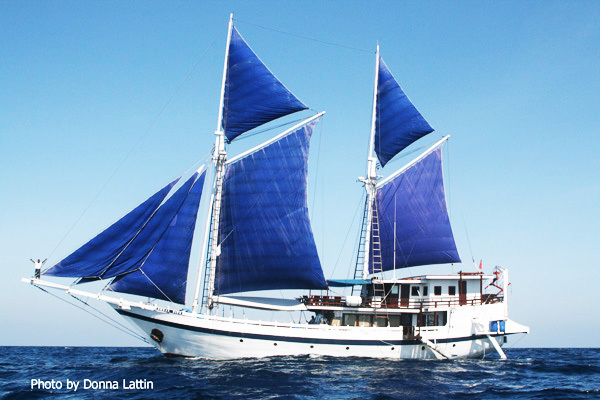 Grand Komodo operate 5 + 1 boats built for liveaboard dive trips. Are all clean and cozy, with air conditioned cabins and ensuite bathroom, a dive platform, gear up stations, a dedicated camera table and rinse tank, and battery charging stations (both 110V and 220V). Once each diver’s outfit is rigged, the tank stays in place throughout the trip, being refilled in place. Situated at the center of marine diversity, these destinations – known as ‘Coral Triangle’ – hold an array of colorful and intriguing marine life as well as stunning scenery and ‘surely the finest diving in the world’. Let’s explore Komodo Marine Park and Happy Green Dives!